Another card! I'm on a roll this weekend! Started this one last night and figured I'd finish before getting completely into my day. I've already done a few chores, and this is my small break before diving into more!! These colors were a bit of a challenge-I know that is the point! Definitely made me look at some sets I haven't used for a while!! My card base is Riding Hood Red with a Baja Breeze background textured with the Perfectly Polka Dots embossing folder. Across the bottom is a strip of the striped Peach Parfait print from the In Color DSP pack. At the very bottom of that is a strip of Peach Parfait card stock that was scalloped with the Scallop Trim Border punch. The cages were all stamped on Whisper White in Peach Parfait. 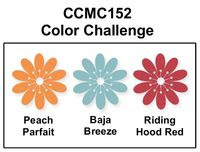 Two birds are Baja Breeze, one is Riding Hood Red. Those are mounted on Riding Hood Red. Final accents are a rhinestone at the top of each cage and the saying, 'friend to friend' from Teeny Tiny Wishes. Thanks for stopping by! 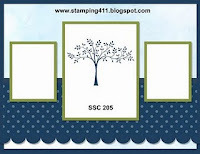 Hope you are finding some stamping time in your weekend!! What a perfect idea for this sketch! And you have used the colors perfectly. I LOVE IT! AND THE COLORS ARE GREAT. I LOVE THE WAY YOU USED THEM...JUST RIGHT! Love your card! What a great stamp set to use for these colors! Thanks for playing the challenge at Create with Connie and Mary! So pretty! I love the texture on the back, it really makes things pop! Thanks for playing with us at CCMC! 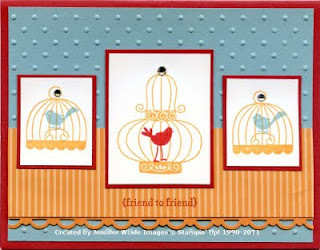 The sketch you picked to go along with the color challenge worked so well together and the stamp set is perfect! Great job! Thanks for playing at CCMC! Love how you combined the challenges...those little birds are just too cute! Thanks for playing along with the Create with Connie and Mary Thursday Challenge! Great job with combining the challenges this week! 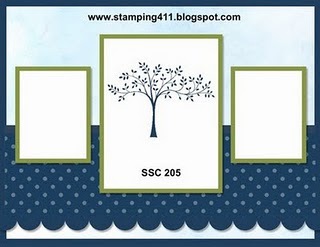 Love Aviary with the Stamping 411 sketch and the color combo is great with it, too! Thanks for playing along with both challenges this week! This is a fabulously fun card Jennifer. Love this stamp set and what you've done with it. Adorable card! Love the color combo w/ this stamp set! Great card, Jennifer! So cute! Great to see you here, Friend! Thanks for playing the Create with Connie & Mary Challenge this week! What an awesome card! 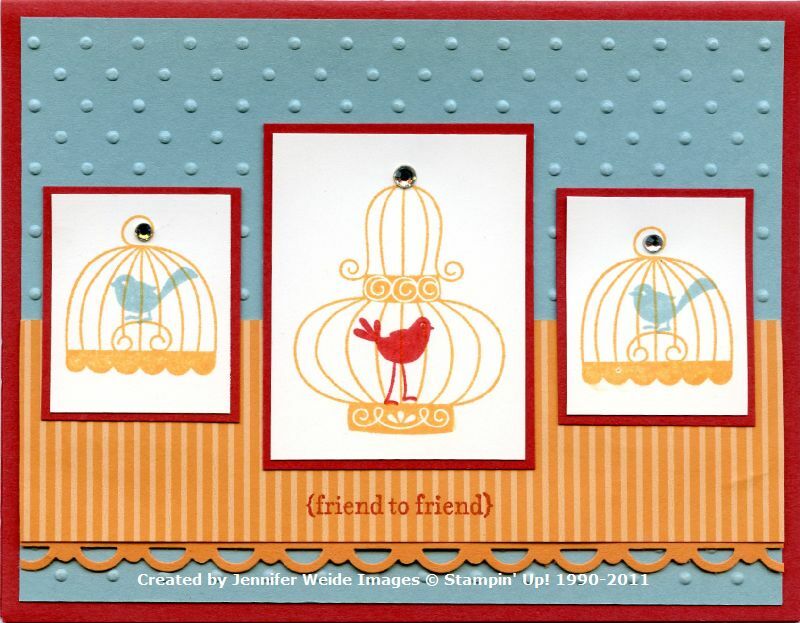 Love those colors and the cute stamp set!